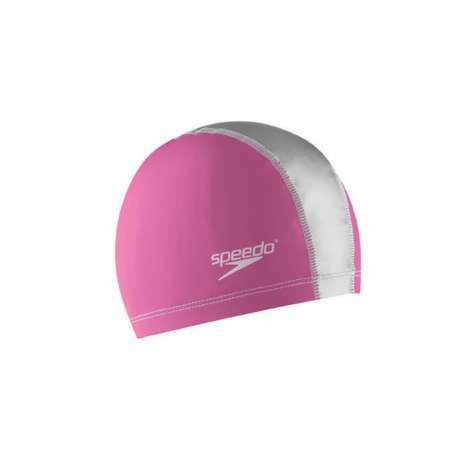 The Silicone Stretch Fit Cap is a great cap for recreational swimming! Dual-layer technology with soft fabric interior. Fabric - Outer Shell: 100% Polyurethane | Inner Lining: 82% Polyester/18% Spandex. NOTE: Manufacturer has changed the outer layer of this cap from silicone to polyurethane! Haven't yet worn the cap in pool, but it seemed to fit fine when I tried it on. Apparently I have a large-ish head. 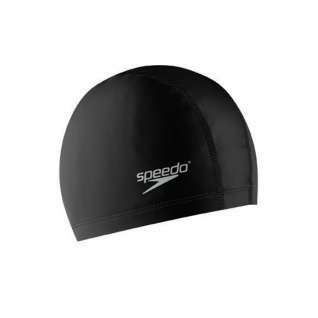 This is the ONLY swim cap I've found that fits me and stays in place. I stocked up- 2 pink, 2 black. LOVE IT! 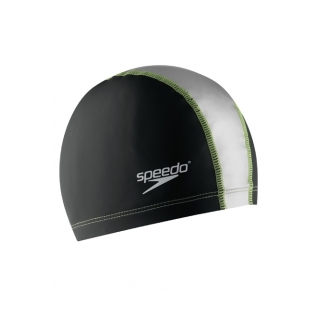 Best swimcap available. Difficult to buy anywhere but Swim2000. fit cap says will go to size large. Not true. Sizing of this item really need to be corrected. I have a small had, but even size L-XL is little too tight, so they should be marked as "Small" and skip the "M". Cap size S-M almost crushed my skull, they should be marked X-Small.